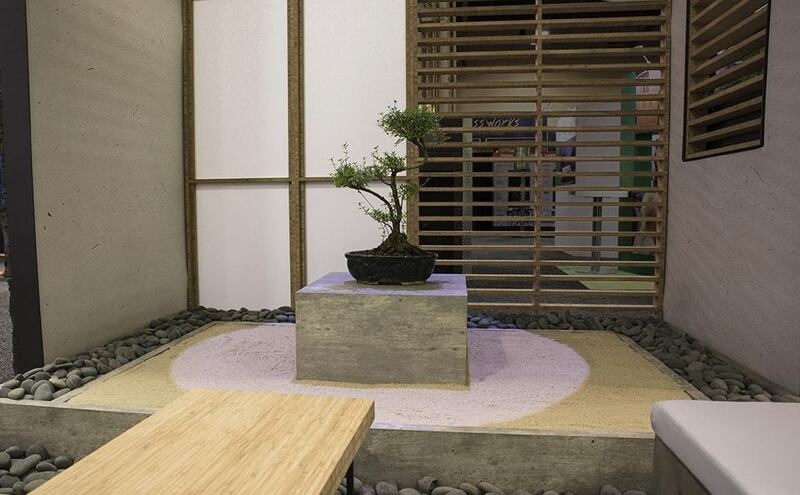 The award-winning exhibit from Skyline featured textures and elements commonly found in Japanese Zen gardens. Click to play. 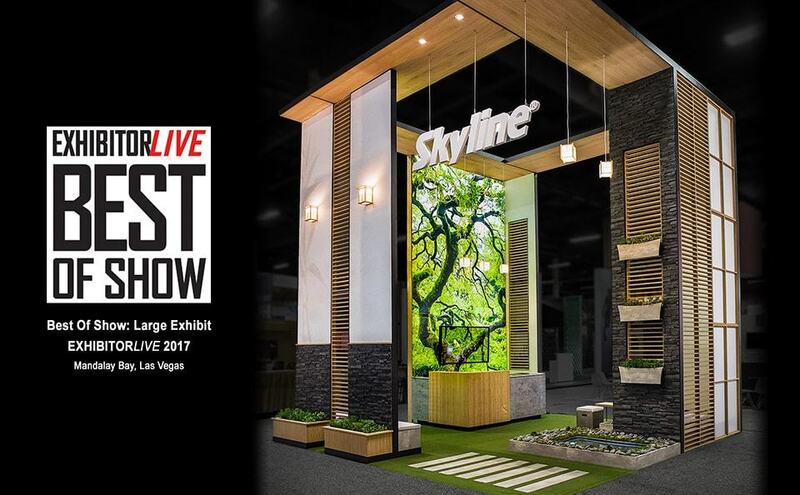 LAS VEGAS (March 2017) - Skyline Exhibits was named best of the best at EXHIBITORLIVE, the trade show industry’s premier event held at Mandalay Bay in Las Vegas. 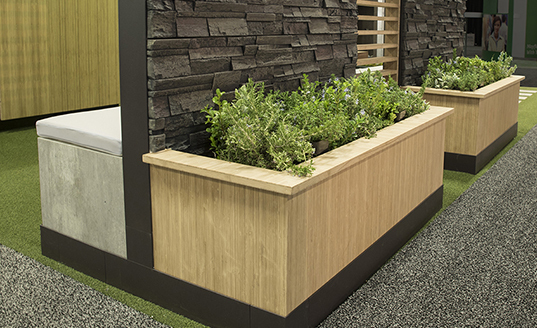 The 20’ x 20’ exhibit, designed and produced by Skyline Exhibits, won the Best Of Show award in the Large Exhibits category. 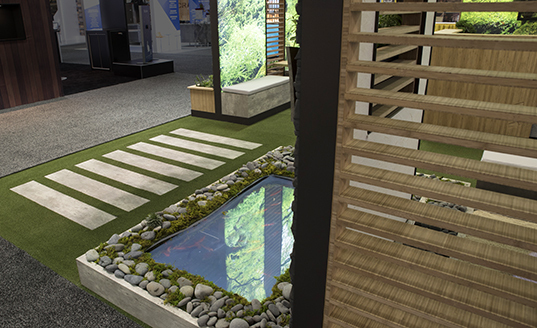 The 20’ tall structure featured rice paper textures, bamboo wood slats, brilliant backlit Zen garden graphics, grass-like flooring and steppingstones. Guests were served a variety of teas and Japanese treats while learning about Skyline through an interactive touch screen. 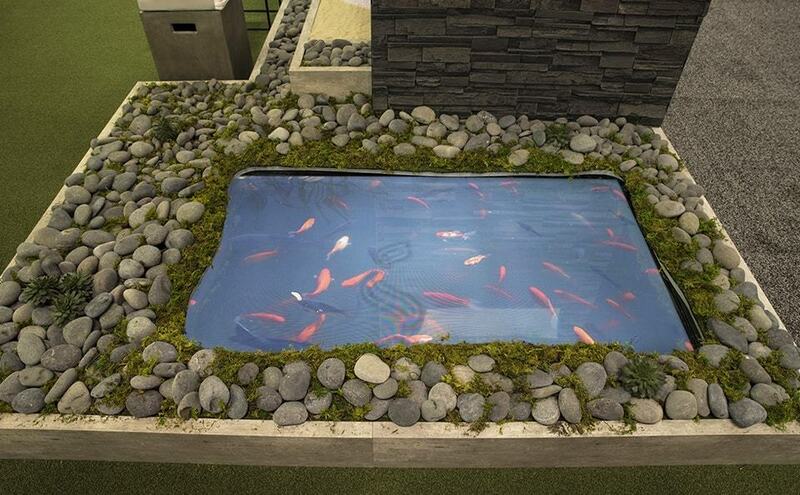 Another big hit, according to guests, was the very realistic digital koi pond. 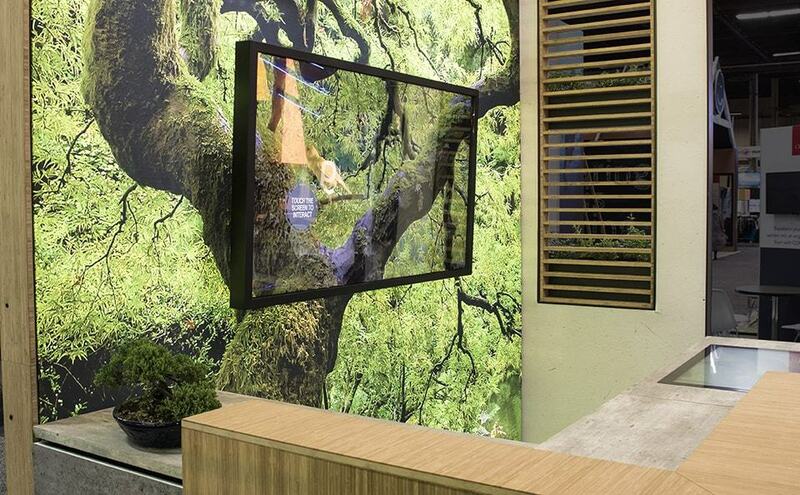 In keeping with the Zen theme, Skyline promoted their presence prior to the show through a series of invitations while offering a chance to win a relaxing massage from one of two upscale locations – one in Las Vegas, the other in the city of their choice. 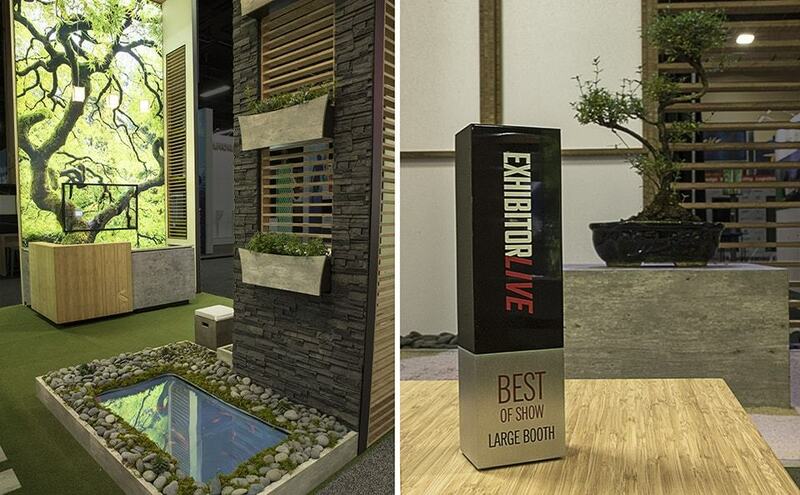 Want your own award winning trade show booth? Contact a local rep to find out how Skyline can help improve your trade show marketing and increase your ROI.